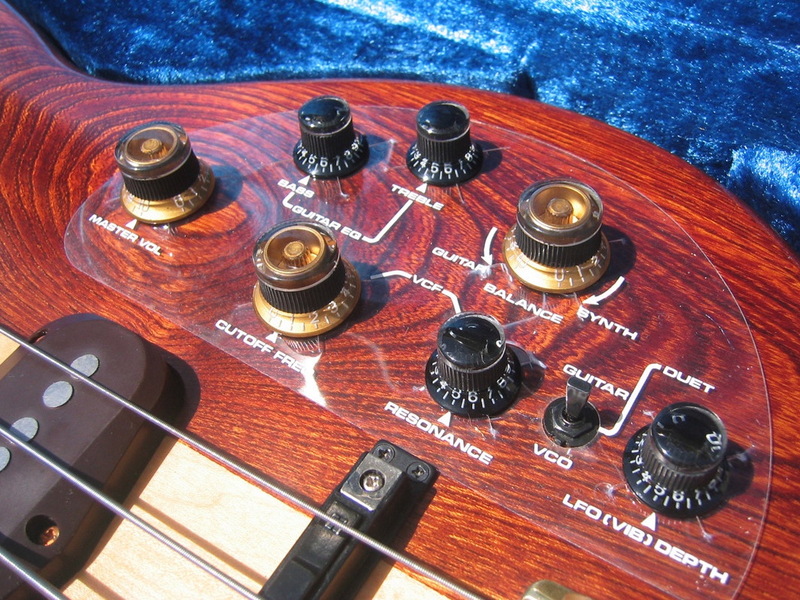 The GR-33B was packaged with the G-33 or G-88 bass guitar controller. 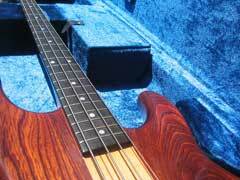 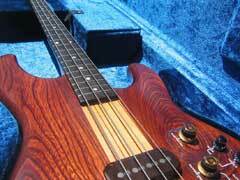 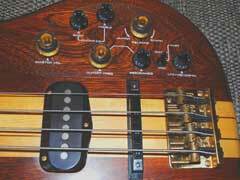 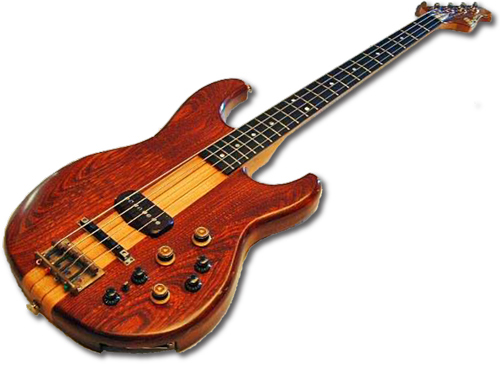 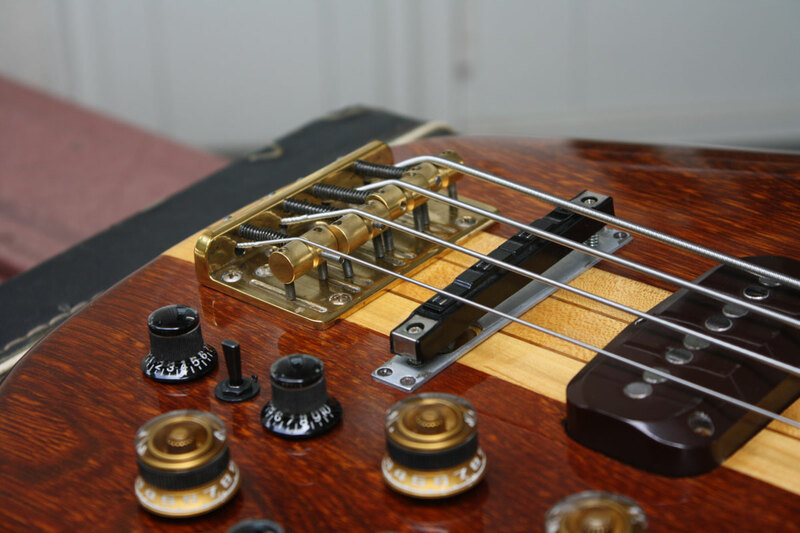 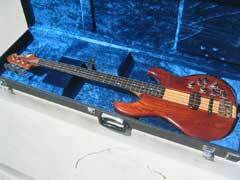 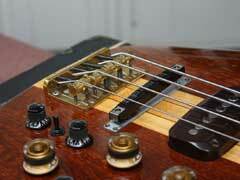 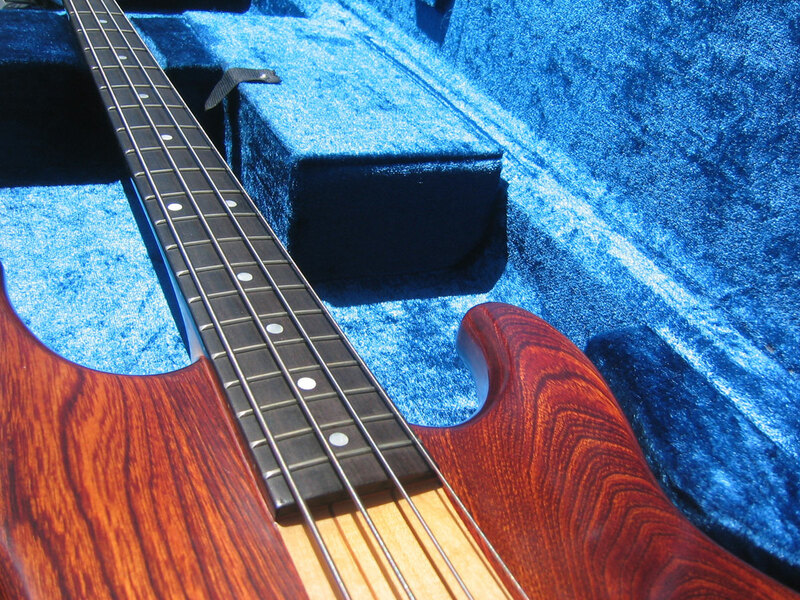 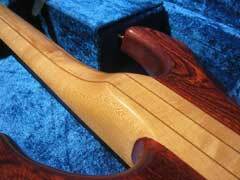 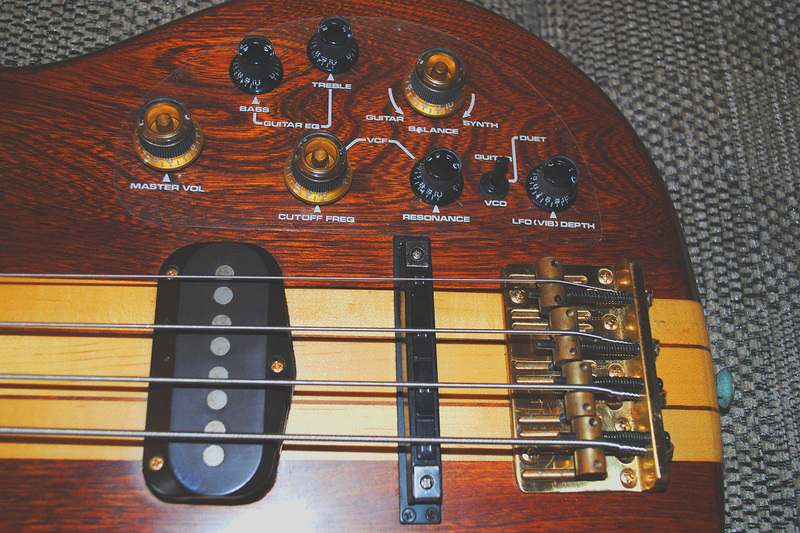 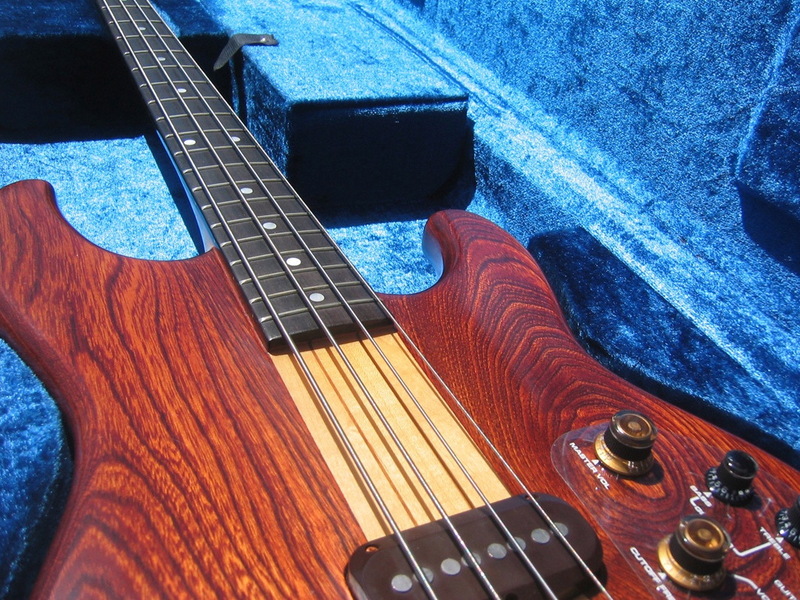 Like the G-303 and G-808, the basic design of the bass guitar is the same for the G-33 and G-88. 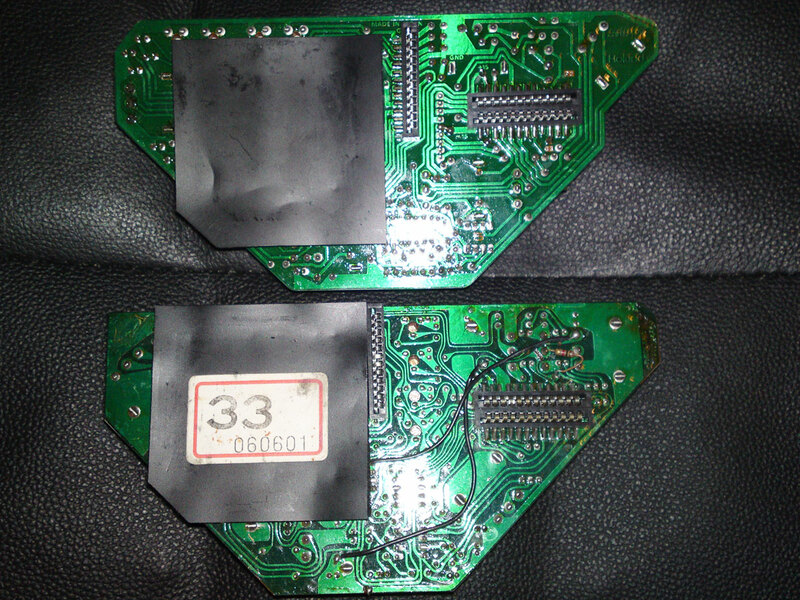 The G-33 and G-88 have the same electronics. The G-88 has an ebony fingerboard and through-neck construction. 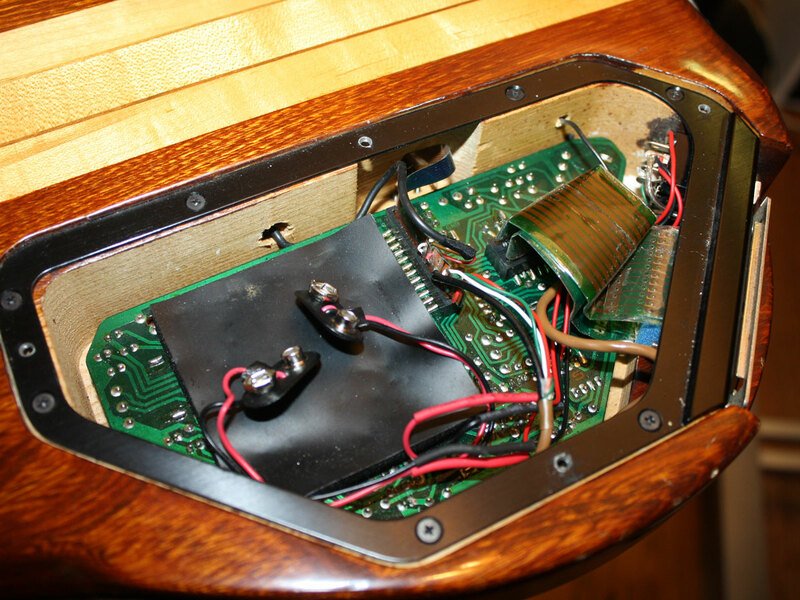 And, like the G-808 pair, the G-88 has gold/brass hardware. 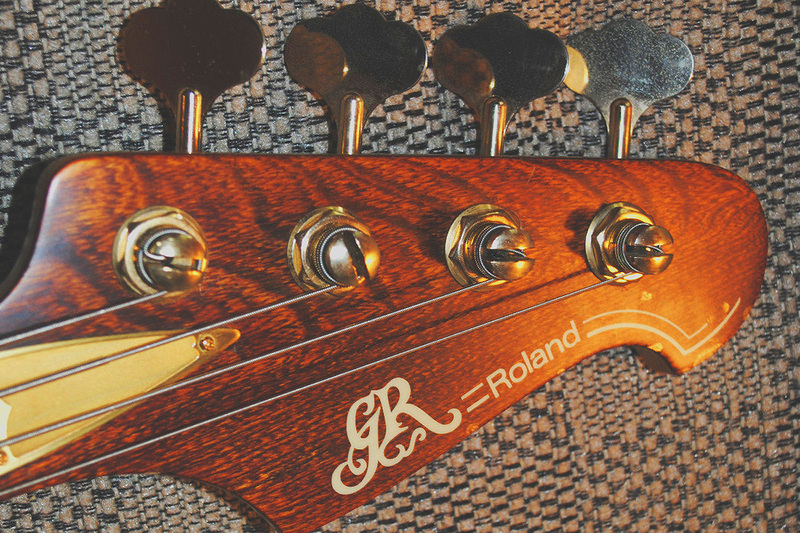 The 1982 Roland guitar synthesizer brochure notes that the G-88 has a Roland PU-144S single-coil pickup. I can report that the G-88 is a really wonderful bass guitar. 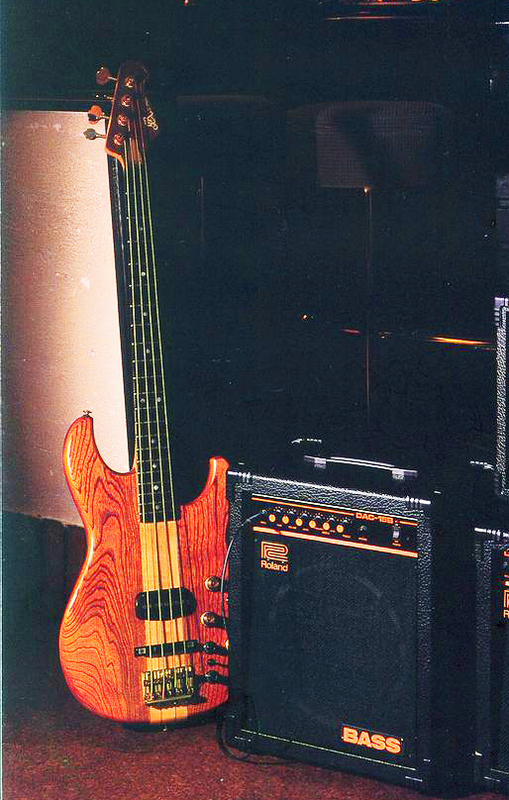 This is no surprise to people who remember how popular 1980’s Ibanez bass guitars were. 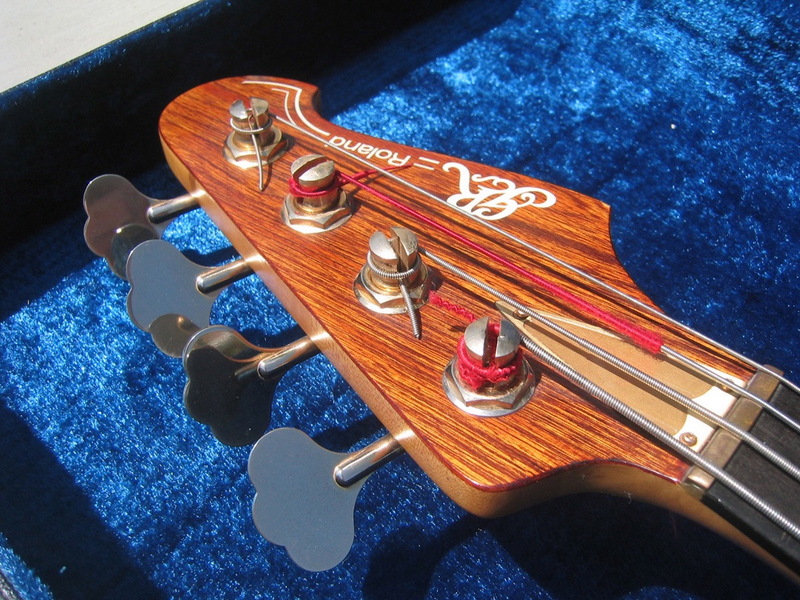 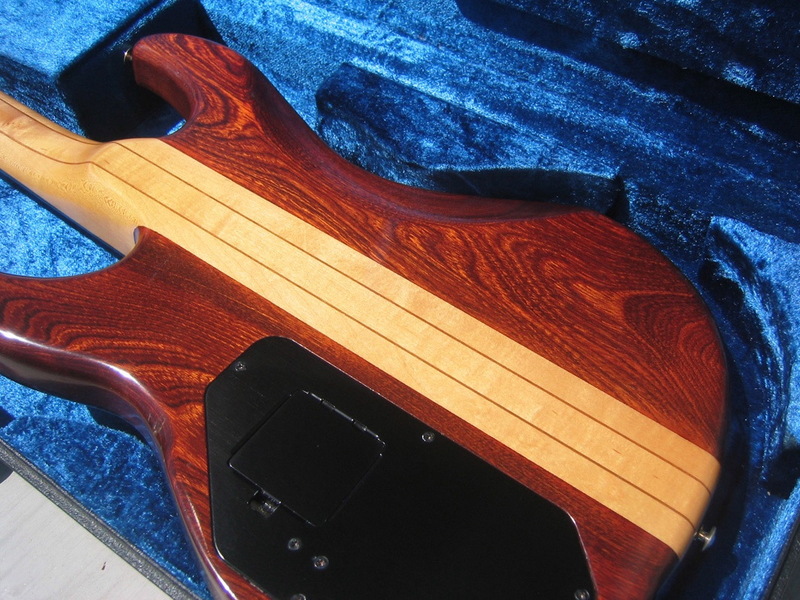 The G-33/G-88 bass guitar, like all the vintage Roland guitars, was built by the Fuji Roland corporation, a joint venture by Roland and the Fujigen Gakki. 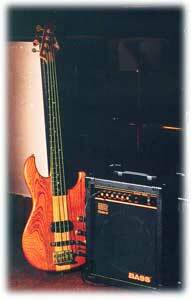 Fujigen Gakki (now known as FGN guitars) also made the Ibanez guitars, and the G-88 seems to be a variation on the Ibanez MC-800 bass. 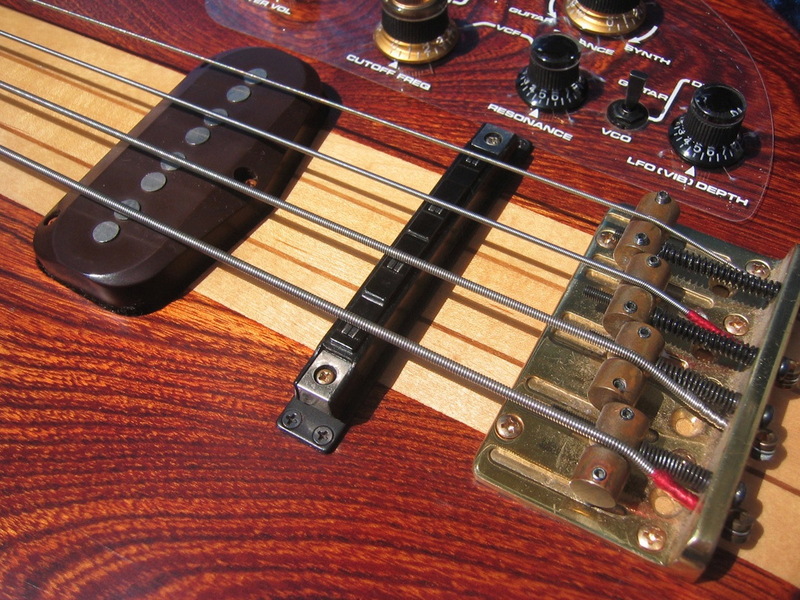 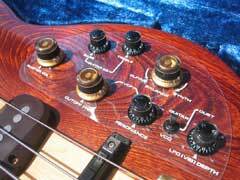 Like the high-end Ibanez basses, the G-33/G-88 has active electronics. 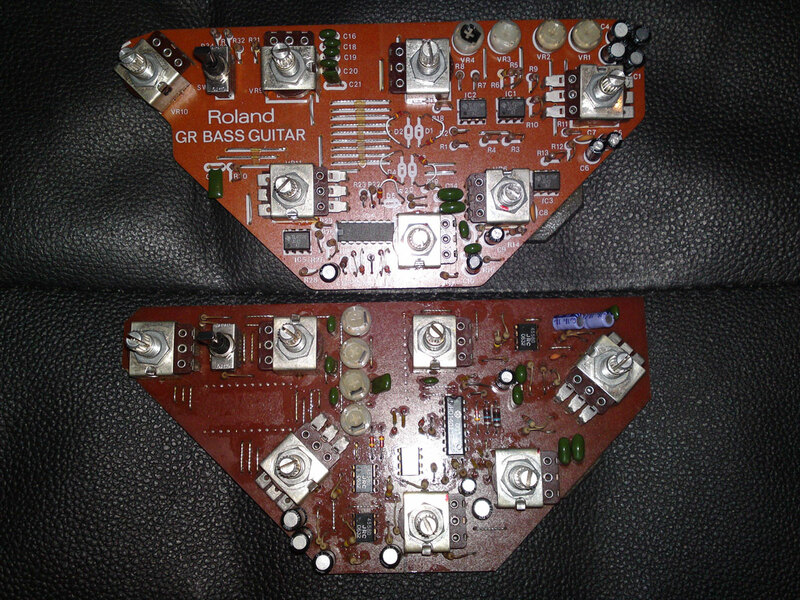 The G-33/G-88 has two bands of active equalization, bass and treble. 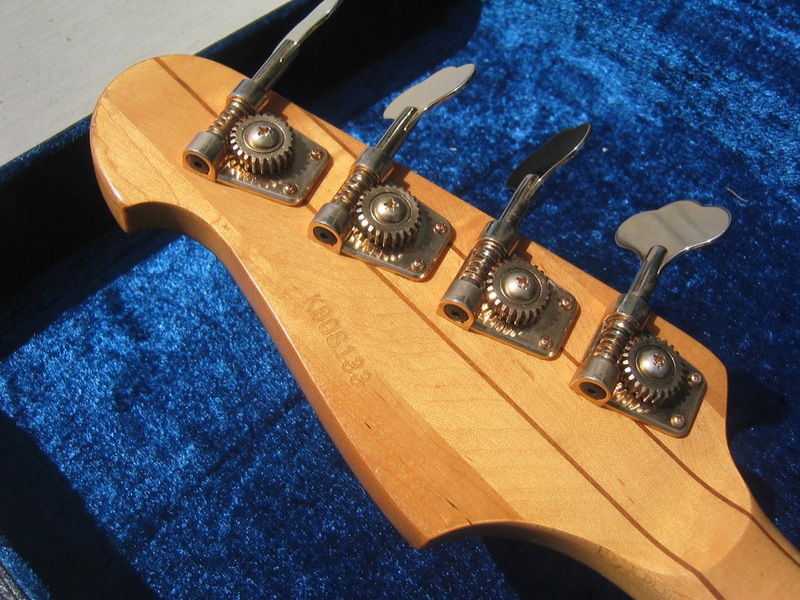 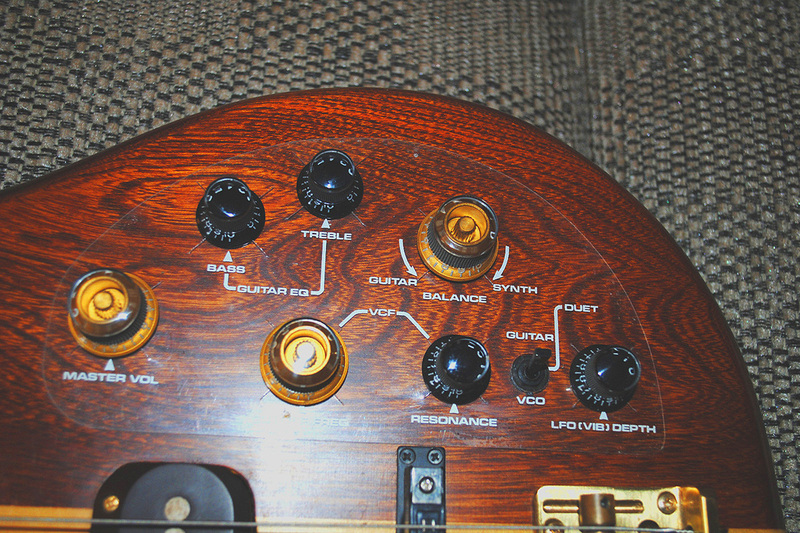 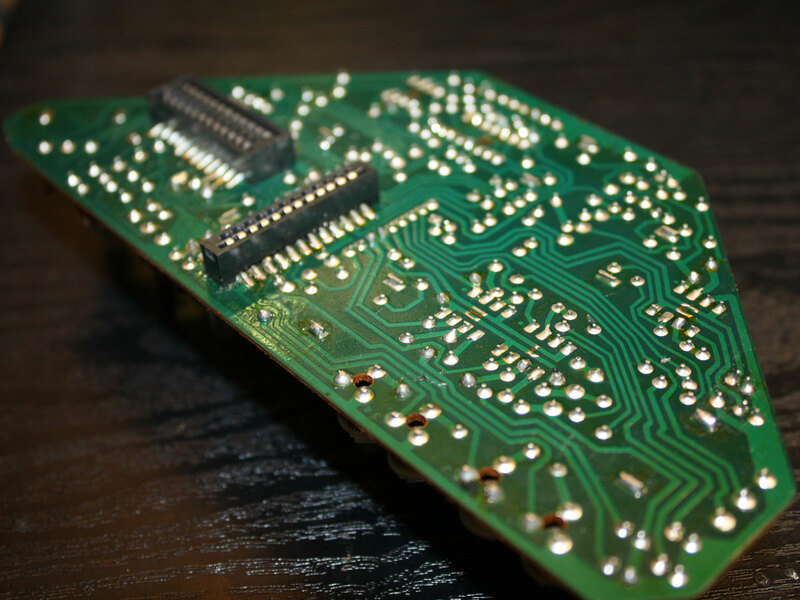 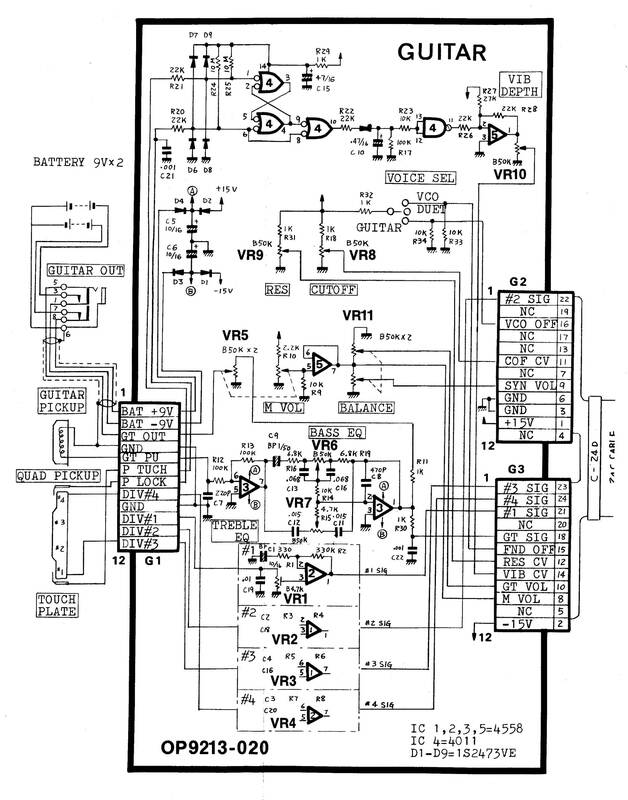 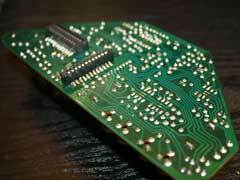 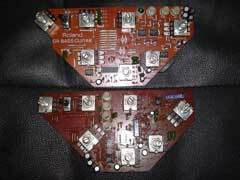 The electronics are powered by two 9 volt batteries or by power provided by the guitar synthesizer. 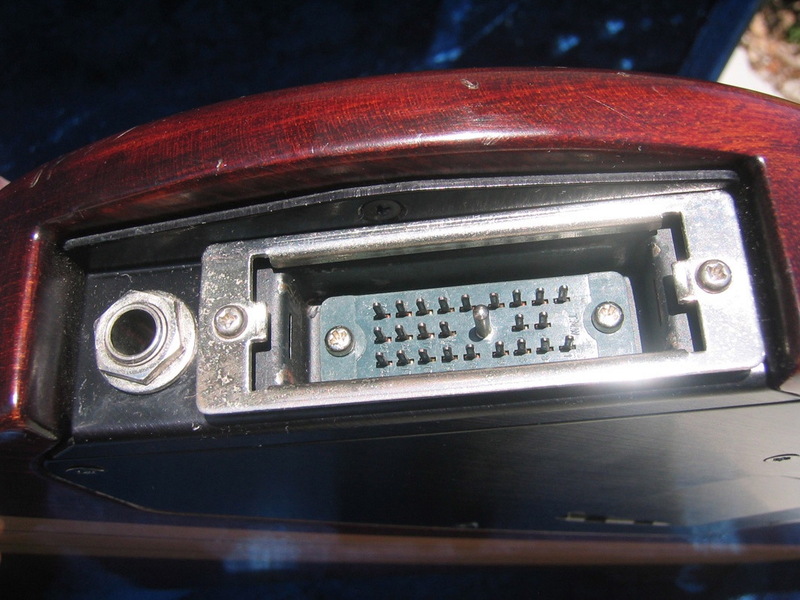 There is an access door on the back of the G-33/G-88 for the battery compartment. 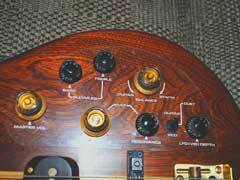 There are no modifications posted at this time. 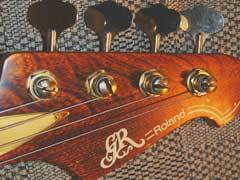 There are no known service bulletins from Roland addressing any G-88 problems.